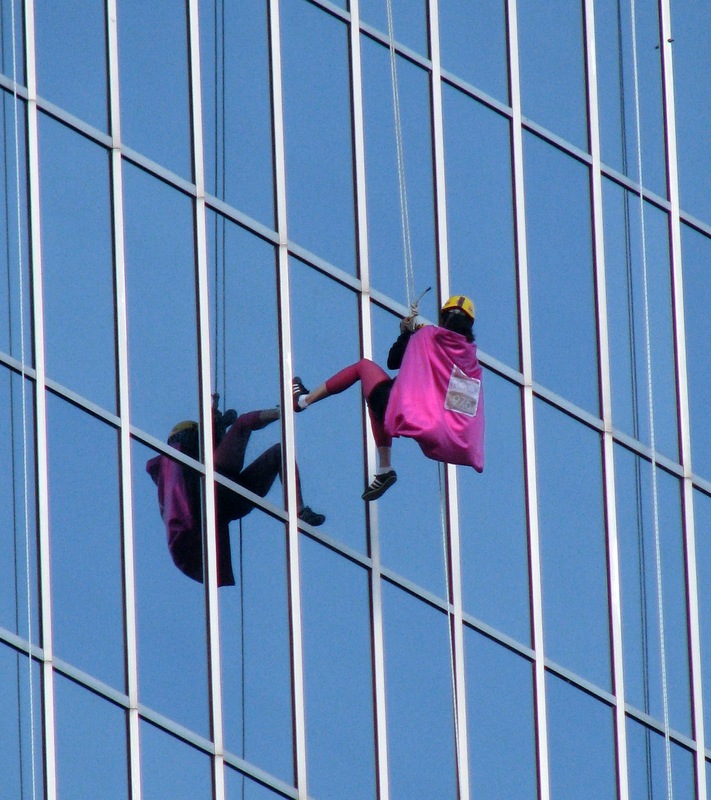 I was waiting for the bus at Dundas and Wellington this morning and noticed that there were people wearing pink capes rappelling down the side of One London Place. As this isn't a regular occurrence, some online information searching was required once I arrived at work. Apparently it is the first annual "Easter Seals Drop Zone London" fundraiser, and offers the opportunity for ordinary folks to rappel down the 25 story building provided they have raised a minimum of $1,500 in pledges. Looks like fun...sort of. What an outfit! The pink certainly stands out on the blue background, so probably caught attention to this worthy cause.